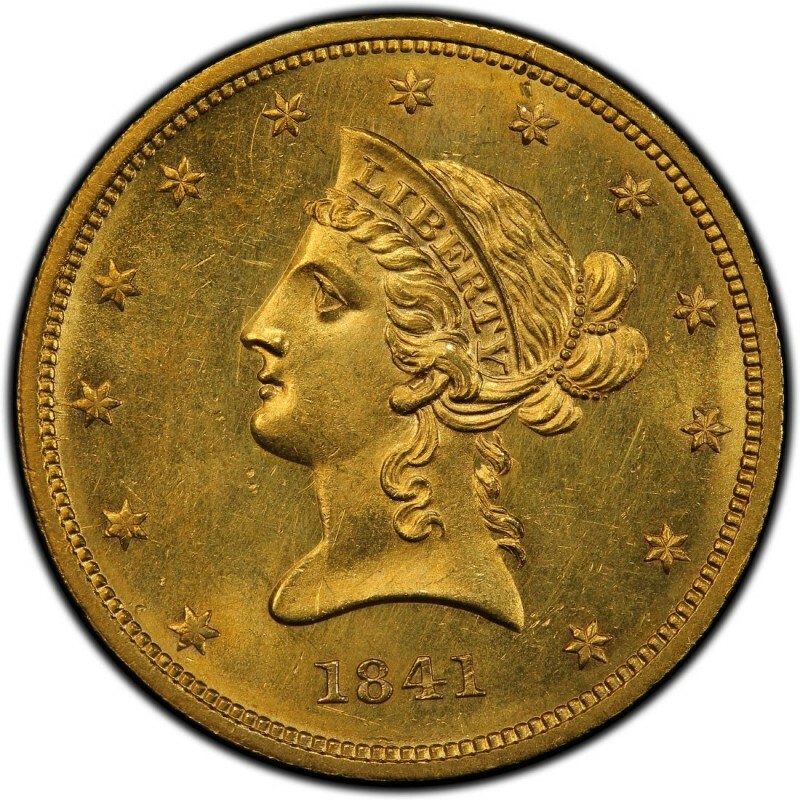 1841 Liberty Head $10 gold coins were made during the fourth year of the series, which was designed by Christian Gobrecht. He served as the U.S. Mint’s third chief engraver and is also noted for having designed Seated Liberty coinage, produced during the 1830s through the early 1890s. 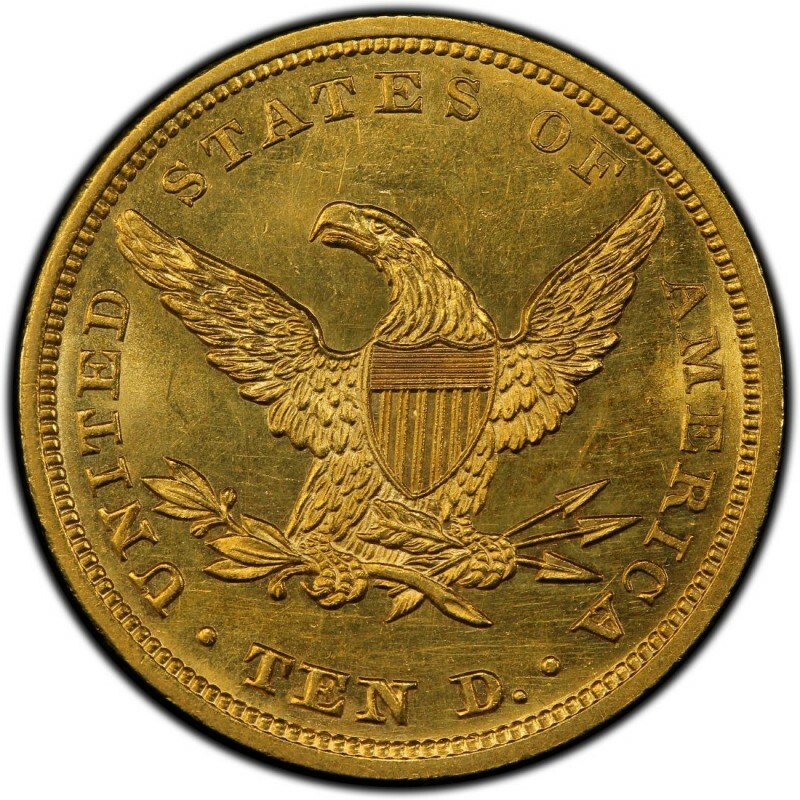 Liberty Head $10 gold coin were the first eagle coins minted at the United States Mint since 1804. In addition to the change in design, the most important differences between the earlier Liberty Cap $10 gold eagle coins and the Liberty Head eagles are the weight and size of the two different series. Liberty Cap $10 eagles, which were made from 1795 through 1804, are 33 millimeters in diameter and weigh 17.50 grams. Conversely, Liberty Head gold eagles are only 27 millimeters in diameter and weigh 16.72 grams. *Values are for coins in a grade of Very Fine 20. 1841 Liberty Head $10 gold coins were made in relatively small numbers, and even fewer remain today due to melting and the passage of time. This is the case with virtually all pre-1933 U.S. gold coins, and as such, 1841 $10 gold eagle coins can prove to be difficult. 1841 $10 EAGLE, NGC EXTRA FINE 40 VERY RARE EARLY GOLD EAGLE DATE!!! !